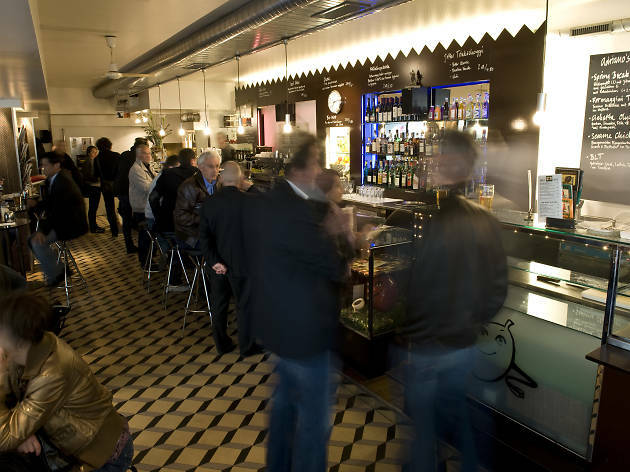 Adriano’s Café Bar is a busy and popular lunch, coffee and cocktail venue with a focus on local and organic products. 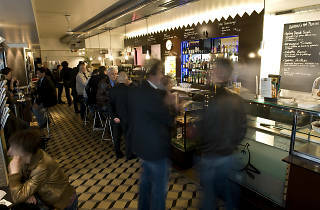 A café by day, a bustling lunch destination and a post-work cocktail venue: Adriano’s is well-known to Bern’s coffee cognoscenti and foodies. The in-house coffee roasts are complemented by beer from an in-house microbrewery and (unusually in Switzerland) home-made iced teas. Adriano’s also offers a selection of bagels and sandwiches that go beyond the typical offerings of independent coffee houses. Look out for tasty titbits like home-cured roast beef and wild salmon, as well as an inventive selection of drinks that are sourced as locally as possible. Anyone trying to avoid Starbucks will probably enjoy Adriano’s philosophy of 'No stange, no prosecco and no Coca-Cola' and appreciate instead artisanal Zwickelbier, organic chardonnay and blueberry cola from Ticino.